A skier carves down the final face of High Noon, the sole run open at Arapahoe Basin Ski Area, on Nov. 3. After opening on Oct. 21, A-Basin has been forced to cut back on snowmaking operations due to above-average temperatures during the day and night. A snowgun sits on long, brown grass near the top of Black Mountain Express at Arapahoe Basin Ski Area on Nov. 2. 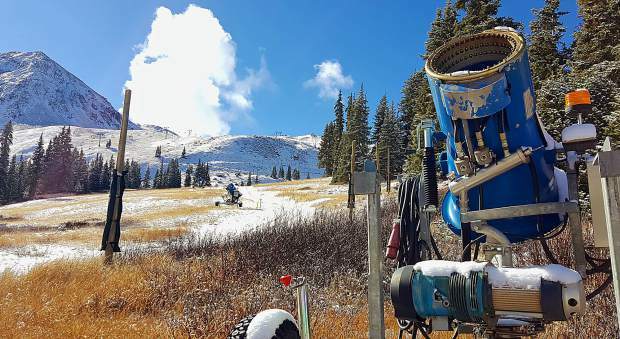 Like many ski resorts in Colorado, A-Basin has been forced to cut back on early-season snowmaking due to above-average temperatures in October. 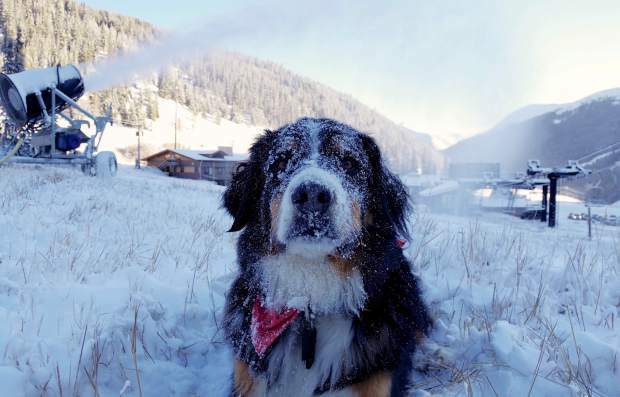 Toby the avalanche dog coated in frost near the base of Loveland Ski Area after snowmakers started blowing snow again on Nov. 2. The ski area was forced to halt snowmaking operations for most of October due to above-average temperatures during the day and night. A panoramic photo of Arapahoe Basin Ski Area from the top of Black Mountain Express on Nov. 2. A-Basin snowmakers need temperatures to hit 25 degrees and ideally stay in the teens at night for snowmaking operations to be successful. Michelle Vona with Breckenridge Nordic Center checks a mobile snowmaking gun on a flat trail near the center's lodge on Nov. 4. The center started blowing snow that morning after a rash of warm temperatures in October forced Vona and her crew of one to wait for better conditions and temps in the mid-20s. 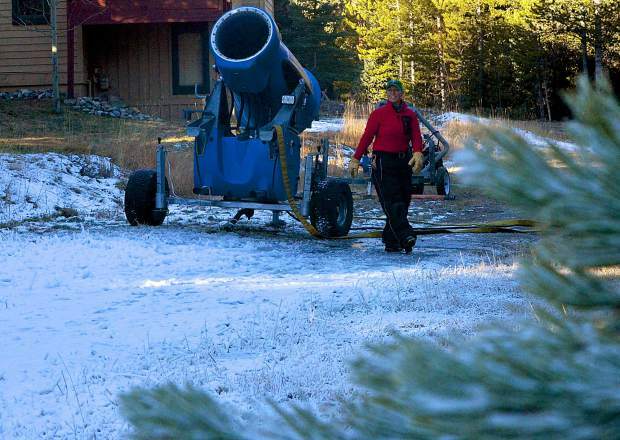 Michelle Vona of the Breckenridge Nordic Center checks a mobile snowmaking fan near the Nordic center lodge on Nov. 4. The center started making snow for the first time this season early on the morning of Nov. 4 and hopes to have full coverage in time for opening day around Thanksgiving. A view of the frontside runs at Keystone Resort around 8 a.m. on Nov. 3 after the first natural snowfall since mid-October. On Nov. 1, the resort announced it will delay its original opening day, from Nov. 4 to Nov. 11, when above-average temperatures forced snowmakers to halt operations. 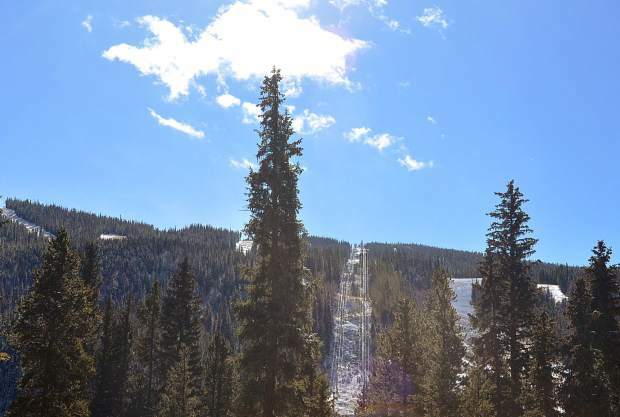 A view of the frontside runs at Keystone Resort around 12:30 p.m. on Nov. 3 after bright, warm sunshine melted the first covering of natural snow since mid-October. On Nov. 1, the resort announced it will delay its original opening day, from Nov. 4 to Nov. 11, when above-average temperatures forced snowmakers to halt operations. October is notoriously fickle in the High Country: one day it’s summery and the next day it’s snowing. Here’s how temperatures in 2016 compare to the past five years, plus historical data from 1996. Source: National Oceanographic and Atmospheric Administration online database, Copper Mountain and Keystone stations. These days, just about every ski area in Colorado gives Mother Nature a boost with snowmaking — once temperatures reach the sweet spot of 27 degrees Fahrenheit. Until then, resorts rely on the real thing. A look at the past five years of natural snowfall and how it boosted snowmaking operations (snow depth totals are cumulative through the end of the month). Call it the world’s largest game of hurry up and wait. For most of October, snowmakers at ski areas across Colorado were primed to give thousands of anxious skiers and snowboarders exactly what they wanted: just enough coverage for early season turns before winter truly got started. Crews at Loveland Ski Area and Arapahoe Basin Ski Area turned their guns on for the first time Oct. 3 — the second day of the month when temperatures at night dropped below freezing — and then something odd happened. 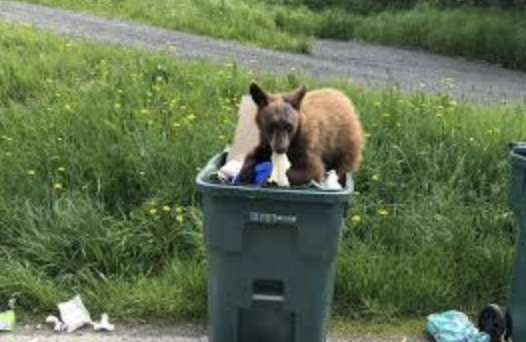 While Denver baked in near-record temperatures into the low 80s, Summit County saw a string of days when temps hovered right around freezing. 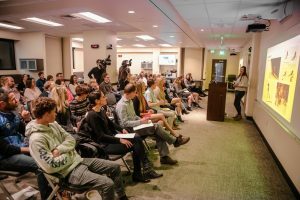 From Oct. 9 to Oct. 18 — just a day before the first round of snow helped A-Basin confirm opening day on Oct. 21 — the nighttime lows never dipped below 29 degrees and daytime highs soared into the 60s, with bright, brilliant sunshine just about every day. Temps dipped into the teens just once before opening day at A-Basin, and then crawled back into the high 50s for the final 10 days of the month. For Summit County snowmakers, conditions were tantalizingly close but never quite perfect. 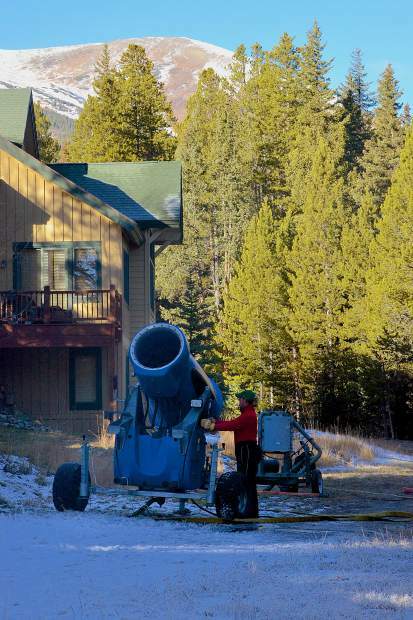 At Keystone Resort, the crew won’t fire up the snowmaking system until temps drop to 27 degrees with little humidity, also known as the “wet bulb” temperature, according to the resort. At A-Basin, the wet bulb temperature is around 25 degrees. Last month, only four days hit the sweet spot: Oct. 6-7 and Oct. 19-20. 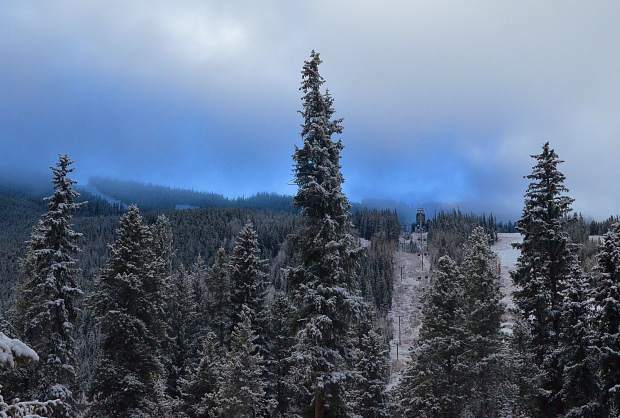 A balmy October forced Miller and other snowmaking crews across the state to wait for better conditions, which in turn has forced Loveland, Keystone and Wolf Creek near Pagosa Springs to delay their opening days. 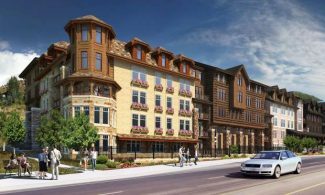 All three originally expected to be open by this weekend, and now, all three are tentatively scheduled to open with no more than two or three runs by Nov. 11 — the same day Breckenridge Ski Resort and Copper Mountain Resort also plan to open for the 2016-’17 season. Loveland and Keystone have both been making snow consistently at night since Nov. 1, officials with both ski areas said, but that means they’re already two weeks behind schedule. A full month of warm, dry conditions has put a damper on the Colorado ski season, but that hasn’t been the case for resorts across the U.S. and North America. At Sunshine Village in Alberta, Canada, record-low temperatures and regular snowfall helped the resort open with a 29-inch on Wednesday — the earliest opening day in 30 years. To the south, precipitation at ski areas in the Pacific Northwest are 100 to 200 percent above average, according to Joel Gratz of the snow-forecasting website OpenSnow.com, and Tahoe-area resorts are about the same. Colorado ski areas are a measly 20 to 70 percent below average, Gratz continued, but, as usual, early season snow totals don’t always make for better snowpack when the ski season kicks into high gear. 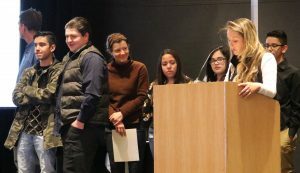 In late October, Gratz said almost exactly the same thing: After digging through historical data, he found that October snowfall rarely (if ever) correlates to below-average snowpack during the high months of February, March and April. This October was one of the driest and warmest in recent history, but it’s not exactly an extreme outlier — more like a perfect storm of unfavorable conditions. In 2013, temperatures and snowfall were similarly warm and light, but the nighttime lows stayed in the snowmaking sweet spot of 25 degrees or less from Oct. 14 to November, according to data from the National Oceanographic and Atmospheric Administration. As far back as 1996, Summit saw a string of highs in the 60s through mid-October, but lows were less than 30 degrees for most of the month and temps quickly dipped into the 20s by late October. For the past five years, the final five days of October have been consistently cold, with temps reaching into the teens and single digits every year — except for this one. It snowed just twice during the month, and so far November has been just as dry. But there’s hope on the horizon, Gratz said, even if it’s the distant horizon. 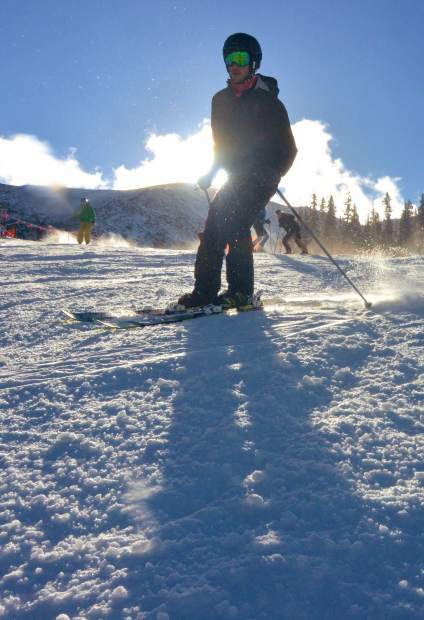 While Keystone, Loveland and the remaining Summit County resorts hope for snow and cool temps in time for Opening Day on Friday, skiers and snowboarders are making the most of a prolonged fall season. At Loveland, the Loveland Ski Club has been on the snow almost daily for early season practice. Even the ski club is getting creative with the conditions. Coaches had plenty of salt left over from the spring season, Hale said, and they’ve been using it to harden the snow surface this fall when afternoon temps start to soar. With any luck, Loveland snowmakers hope to cover three runs — Homerun, Catwalk and Mambo — for top-to-bottom service on Lift 1 by Friday. At A-Basin, High Noon is still the sole open run as crews blow snow on Ramrod en route to the summit, while Keystone crews are busy filling out Schoolmarm, The Alley, Silver Spoon, Paymaster, Last Chance, the west side of Montezuma Express, the mid-load station for River Run Gondola and the summit at Dercum Peak. There will be no top-to-bottom service on Opening Day, officials said. In the meantime, recreational skiers and snowboarders are still making turns at A-Basin with dozens of ski club athletes from across the nation. Many ski clubs plan to train at Loveland as soon as the area opens, and Hale says simply the ability to be on snow of any sort — natural or manmade — is invaluable for the team.